Is Tom Steyer’s Political Group Sold On Ocasio-Cortez’s Green New Deal? Billionaire Tom Steyer’s political action group has apparently not fully bought on to the so-called Green New Deal even as other environmental groups jump on board, The New Republic reported Tuesday. NextGen America is among a slew of activist groups, including the Sierra Club and the Natural Resources Defense Council, that did not sign a letter imploring lawmakers take up a new campaign to tackle climate change, the report notes. More than 600 environmental groups signed the letter. NextGen America, which Steyer heavily finances, has not yet responded to The Daily Caller News Foundation’s request for comment about its reasons for not signing the broad proposal, which includes promises to avoid market-based ideas like carbon taxes. The GND is staring to gain ground in Congress. 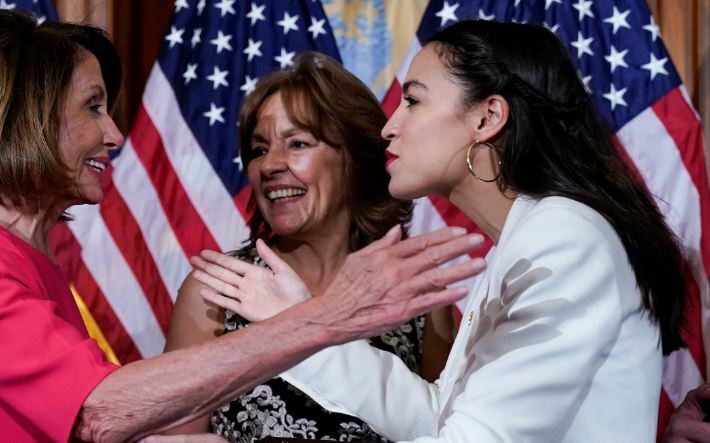 Democratic lawmakers are increasingly lining up behind the deal, which is largely the brainchild of Democratic New York Rep. Alexandria Ocasio-Cortez, a former bartender who managed to defeat former Rep. Joe Crowley. The price is also a sticking point for many Republicans. Reports show one of the GND’s chief financial instruments — higher taxes on the wealthy — likely won’t be enough to fund the plan. Democrats argued in the past that carbon taxes can raise more government revenue while cutting emissions. The Congressional Budget Office (CBO) reported in December that a $25-per-ton carbon tax would raise about $1 trillion in revenue over a decade, which is less than half the $2.3 trillion conservative groups estimate it would cost to meet the Green New Deal’s main goal.